Hi All, Here Is A Step By Step Details By Which You Can Get Rs. 110 Paytm Cash For Free Along With Mobile Recharge + PaytmMall Shopping Order & More. Hurry !! Have A Look Below !! How to Get Free Rs.110 From Paytm ? Visit any Paytm Merchant Store and Pay Rs.20 using Paytm SCAN Option only. You will get Rs.20 Again. Finally Go To PaytmMall App and Sign In With The same account and Select Any Product And Use Promo code – SHOP50 Or MALL100 And Get Rs. 50 To 100 Rs Cashback On that Product. Recent Update - MALL100 Was Working Before User Getting Rs. 100 Cashback. So May Not Be Working Now. 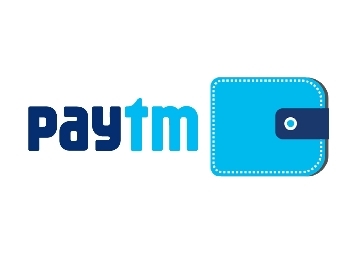 Paytm Now Has Come Up With Coupon Code "SHOP50" To Get 100% Cashback Upto Rs. 50 On First PaytmMall Order. So using this Paytm Loot Trick you get Rs.50 For Free + Rs.30 Recharge + Rs.20 Paid to Merchant + Rs.10 free as a Paytm Add Money = Rs.110 Benefit !! Hurry ! !